Just 5 percent of city and county workers rated their agencies as "outstanding" in effective citizen engagement, and only 26 percent think their agency's website is "highly effective." Think government could be doing a better job with its digital communications? You’re not alone. Most in government think so too, at least according to one recent survey. Among city and county workers, only 5 percent rated their agencies “outstanding” in effective citizen engagement. Just 26 percent think their agency website is “highly effective” and 87 percent know nothing at all about federal requirements to make websites accessible for the disabled. This could be a half-full glass. “They are really hard on themselves and I think that speaks to how seriously they take their role. They look at what they are doing and they want to do it better,” said Ashley Fruechting, marketing director for Vision, an El Segundo, Calif. company that builds Web presence for government entities. For its third annual What’s Next in Digital Communications for Local Government survey, Vision interviewed more than 435 municipal and county government officials, including elected officials, administrators and communications professionals. About 13 percent came from IT, but all respondents were engaged in some way in building and delivering digital services. Those who responded to the survey gave themselves especially low marks in the arena of citizen engagement. Few rated their agencies highly, and 18 percent said they delivered “below average” or “poor” performance. Based on written comments submitted by participants, Fruechting reads this as a mark of frustration and uncertainty. Department chiefs and the technologists who bring policy to life “have been given a blanket decree from the administration or from elected officials to ‘improve engagement,’ and they are left to figure out what that means,” Fruechting said. Most believe that this fuzzy call for “engagement” includes the need to deliver more services online, something they feel unable to do: Only 8 percent gave their website an “outstanding” rating. That’s double the number in the 2016 survey, but still low. In comments, respondents said their sites are too often not mobile ready, or are difficult to navigate. The first of these, however, appears to be moving in a positive direction. Half of respondents said they have responsive design in place and about half say they are working on it. Those efforts should help to bring government sites up to speed in terms of being mobile ready. “They know what needs to be done and now they just need to get those projects on the books,” Fruechting said. Navigation issues may prove a tougher nut to crack. “This speaks to a larger issue," she said, "which is the need to shift the focus of websites from a government perspective to a resident perspective." Vision worked with a Louisiana parish where civic leaders were sure that agendas and meeting minutes needed to be the top content on the website. In surveys, residents said they wanted GIS data and information to be front and center. “The staff’s best intentions around navigation didn’t match what the residents really wanted,” Fruechting said. In a Texas water district, staffers wanted their site to promote news on new initiatives and projects. “When the residents were surveyed, they said, 'I just want to pay my bill! '” Fruechting said. When respondents described navigation as a problem area, many apparently were referring to this disconnect between government priorities and actual user needs. Navigation also arose as an issue with regard to the Americans with Disabilities Act (ADA). Beginning in 2018, government websites will need to comply with Section 508, which relates to the accessibility of electronic and information technology. 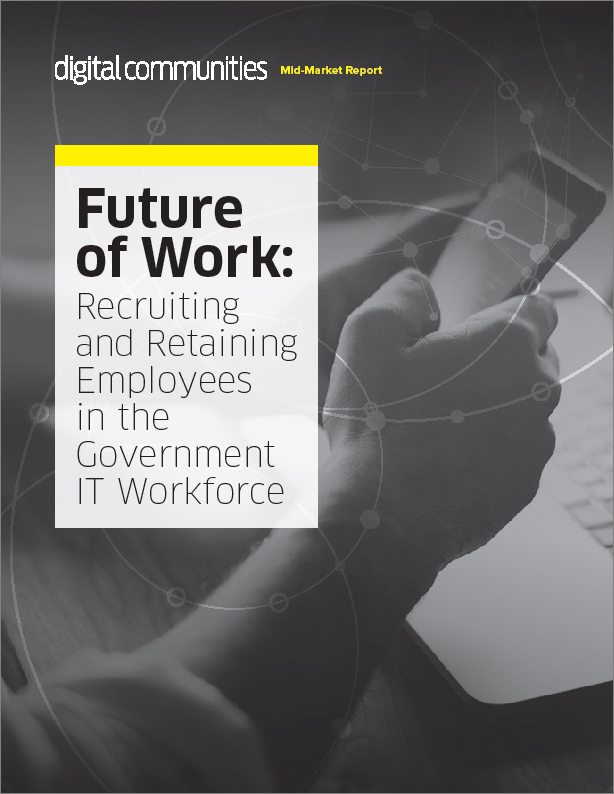 Hardly any respondents were aware of the requirements, which could have broad implications for the government technology community. Accessibility must be built into websites from the ground up. Suppose a vision-impaired person is using a screen reader. If the Web page says, “click here to see the permit” but the programmer has only embedded the link into the words “click here,” the reader will go down the page reciting “click here” repeatedly, without actually moving the user forward. In the same vein, assistive readers steer users through headers and subheads in hierarchical order. If a designer picks styles based on appearance rather than function, the reader will skip haphazardly around the page. “The tools have to be used in a very particular way in order to write content that is user friendly,” Fruechting said. The dictums of ADA likely will put new pressures on government technologists. At the same time — and despite competing demands from mobility and social media — the survey found that the website remains a focal point of attention, with 93 percent responding that it was either “essential” or “important” to the agencies’ ability to interface with the public.